We engine-turn each stainless steel dash panel by hand and fit it into a custom polished aluminum housing designed to fit onto the flat filled dash of your hot rod. This package includes our easy to install two piece dash inlay and the timeless styling of instruments from Autometer including Designer Black, or Arctic White Instruments. 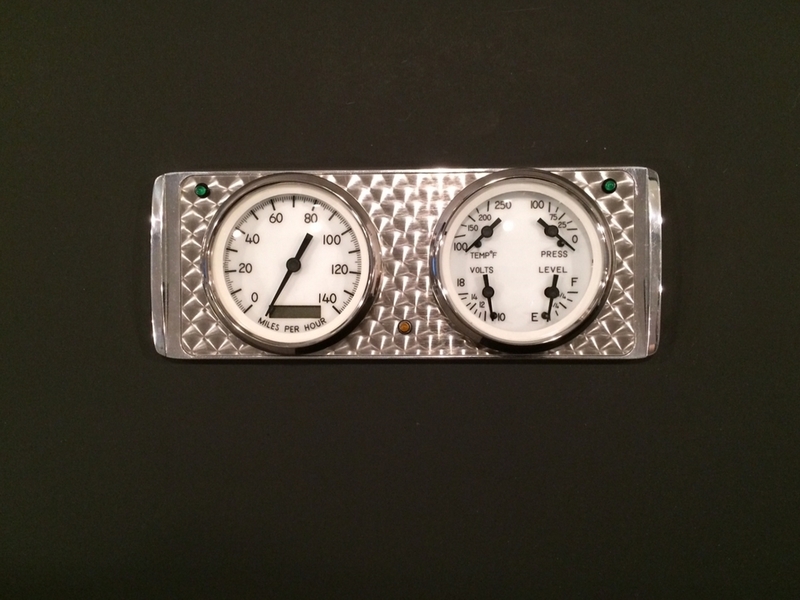 These gauges feature classic racing style along with race proven air core movement, incandescent lighting and red pointers, as well as stepped stainless-steel bezels. Easy to calibrate electric programmable speedometers are available with rolling odometers for a great traditional look or you can opt for a GPS Speedometer that uses global-positioning-satellites to tell your speedometer how fast you are moving across the earth. 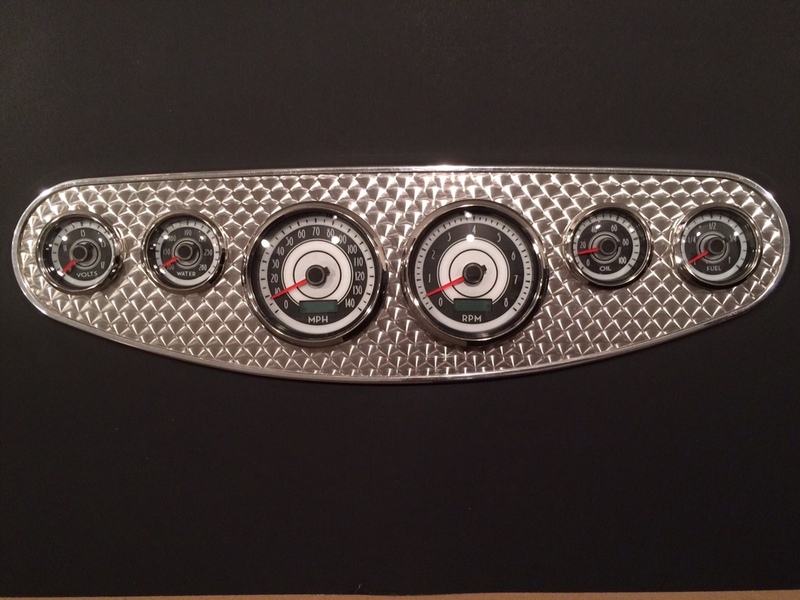 This kit comes with the two-piece dash insert, gauges and all senders.